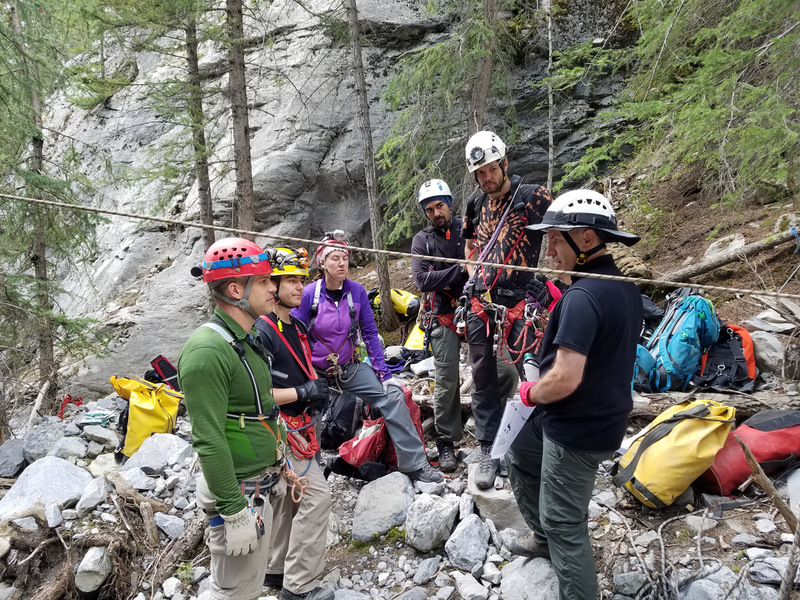 I had the opportunity to travel to the Canadian Rockies to teach a cave rescue class. 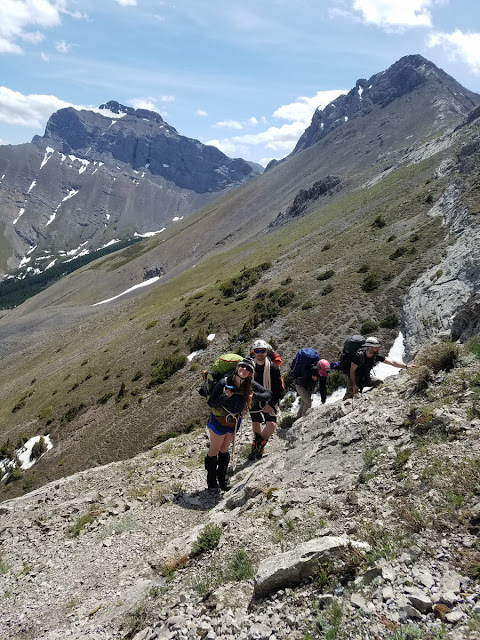 I jumped at the chance, as I had never been to the Canadian Rockies before. Eddy Cartaya organized the class with the help of Canadian Christian Stenner. 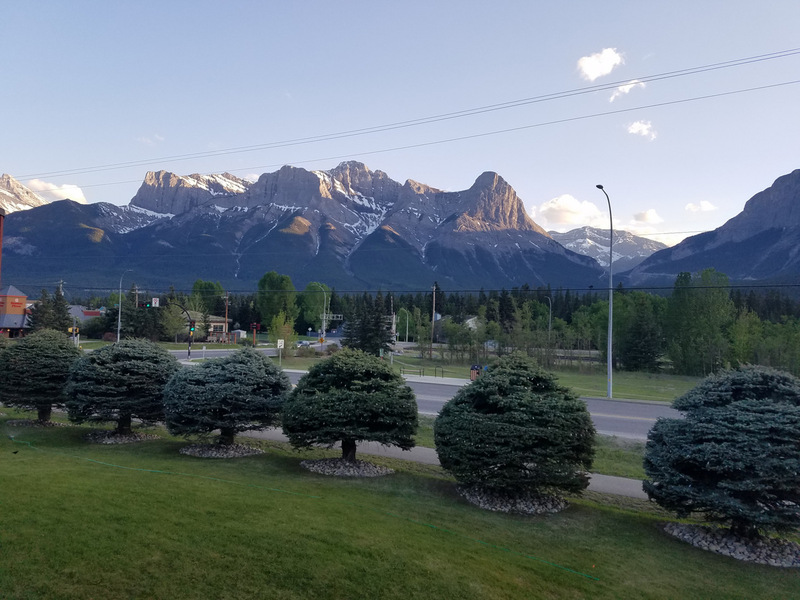 We held our short classroom session in a hotel room in Canmore. These small party assisted rescue classes are purposefully kept small. 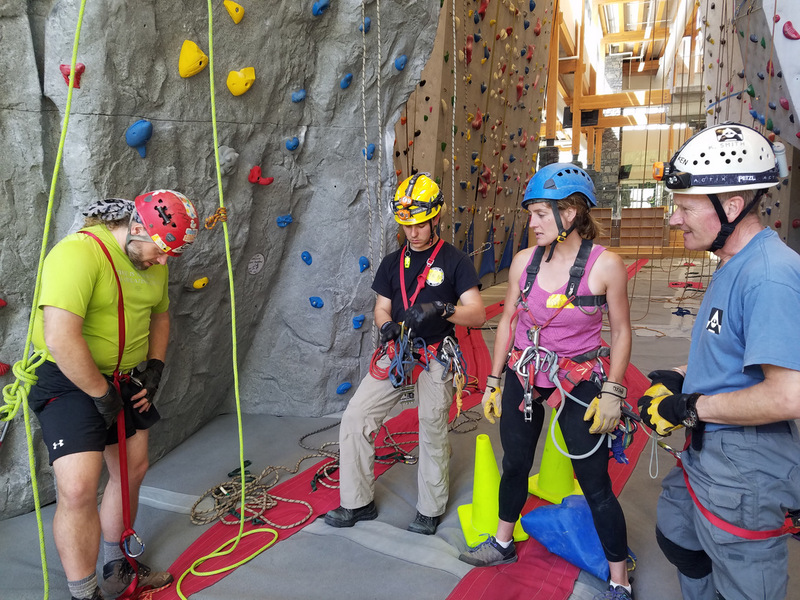 Then our indoor rope afternoon was at Canmore's amazing climbing gym. I wanted to stay and climb! 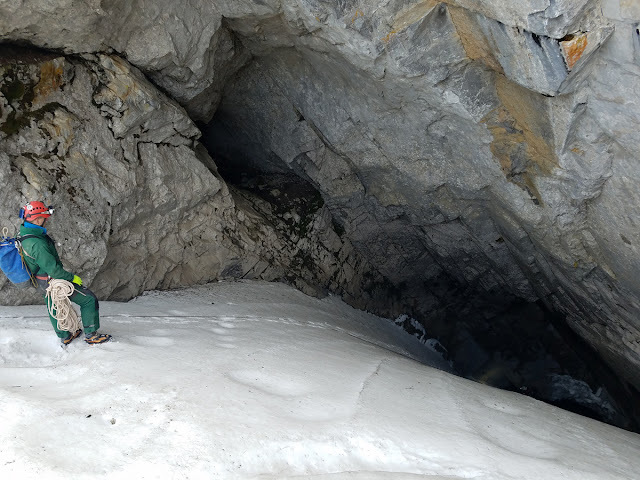 The second day we went out on some cliffs near Rat's Nest Cave, a commercial cave. Later in the evening we hung around a tree. Literally. 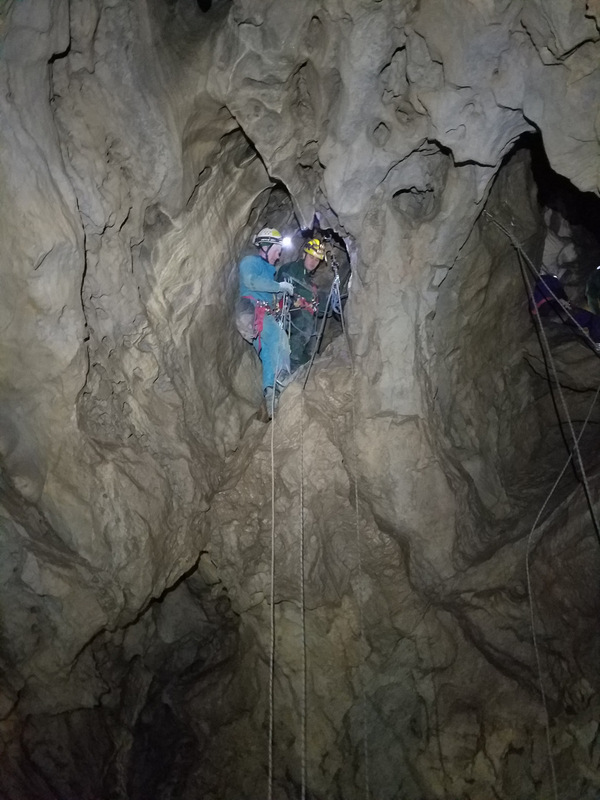 On the third day we had a variety of learning stations in Rat's Nest Cave. I helped supervise the climbing and rappelling counterweight station, which is a very fun station as the concept is sort of like an elevator. Weight on one side of the rope that goes through a pulley means the person on the other side of the rope goes up. And on the fourth day we presented the students with scenarios that they had to figure out how to solve, including packaging the patient and coming up with an extrication plan. I was an "angel" or supervisor for this, so I had my hands free to take some photos. 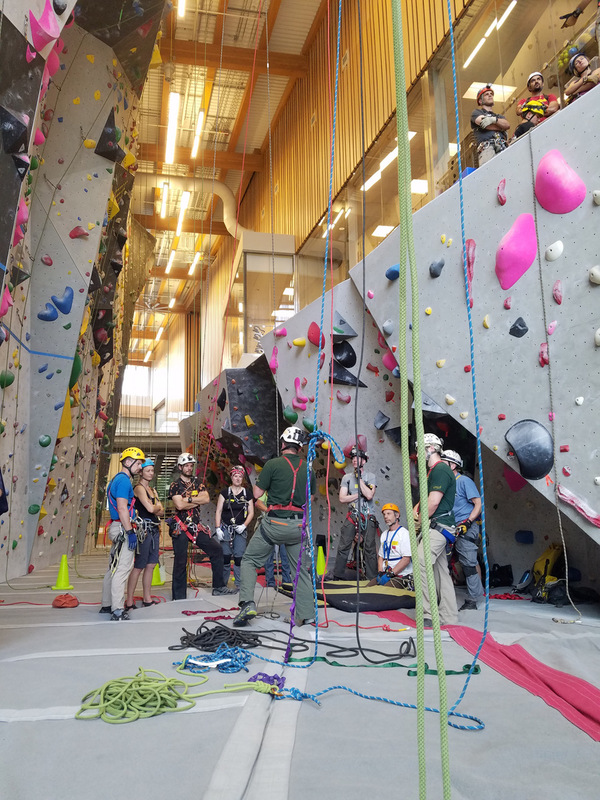 The station I was at was multi-pitch, so it was fun seeing how the students solved it. Rebecca, being rescued, eyes the solution below with a bit of concern. 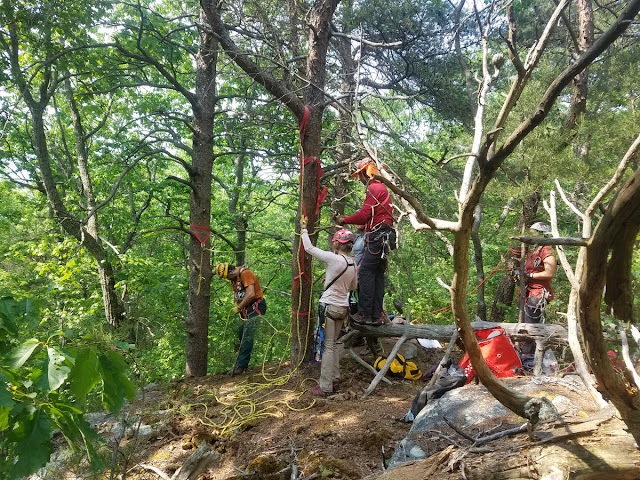 Fortunately they worked it out and got her to the next section of rope. 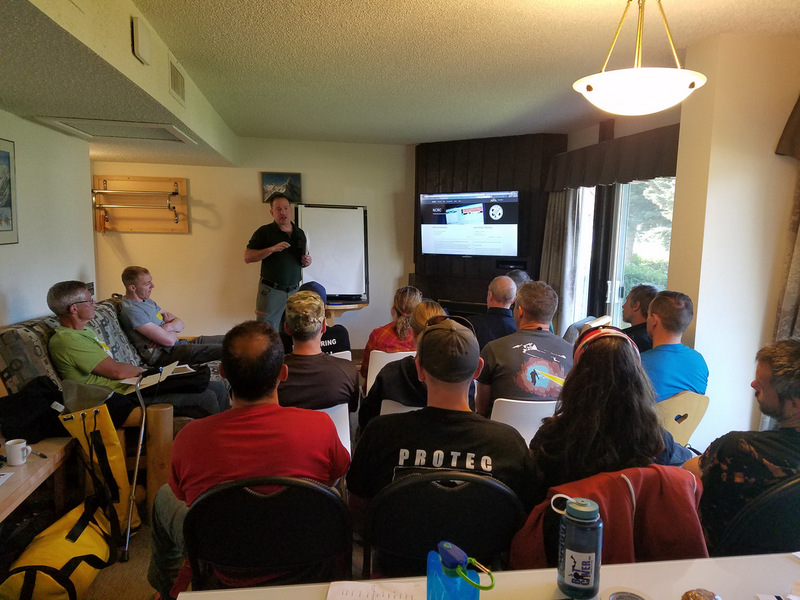 The class was successful, and all the American instructors were impressed with the level of skills of the Canadian students. I'd love to go take a Canadian rescue class sometime, as they have different things they emphasize. Plus Canadians are just a lot of fun! We had great weather for the class, and then the day after it rained. 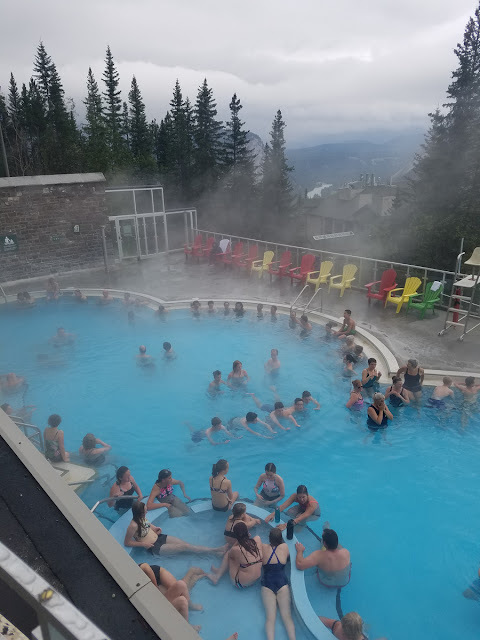 That meant a good day for Upper Banff hot springs! We (the instructors who could stay a little later) also checked out the Whyte Museum of the Rockies in Banff and ate a delicious dinner. 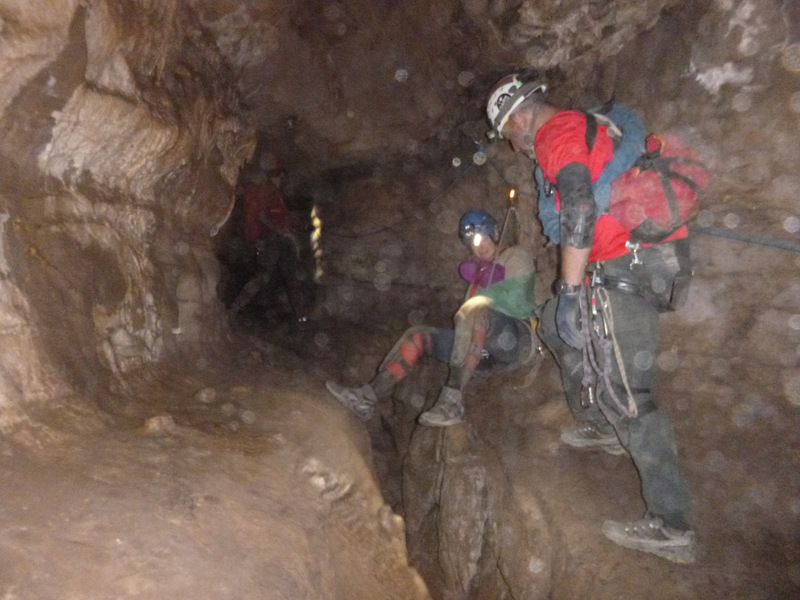 Then we drove several hours south and stayed in some cabins to prepare for an epic cave trip the next day. I woke up early and found this beautiful sight behind the cabins. 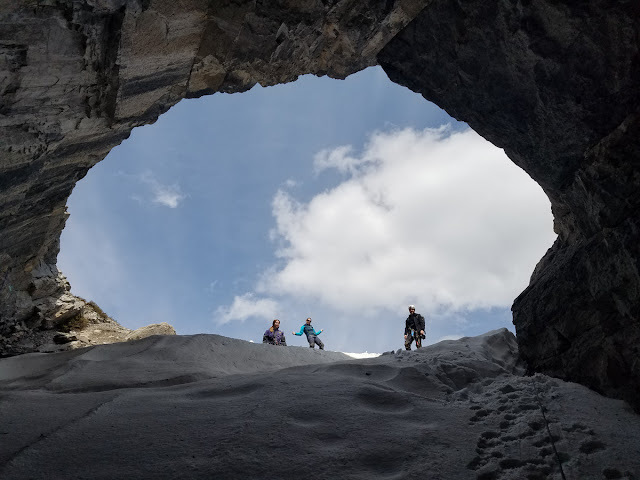 We met up with Christian, who had agreed to take us to Booming Ice Chasm, the biggest ice cave in North America. 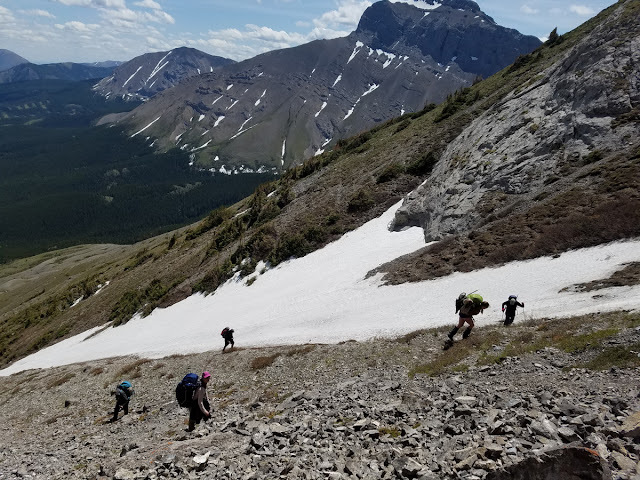 It required a hike with a 700m (2200 ft.) elevation gain and big packs to carry 250 m (750 ft.) of rope, ice screws, crampons, and warm gear for the ice cave. I took photos as a good excuse to catch my breath! 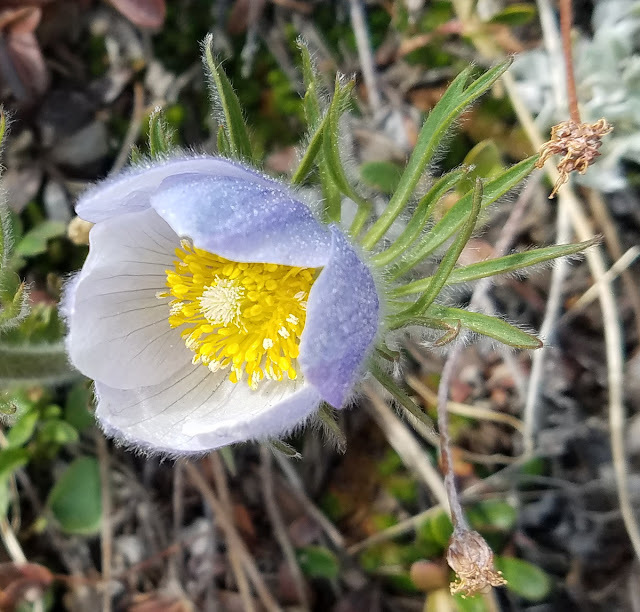 Here's a Pasque flower. Finally we made it to the thin rock ledge where the cave is located. 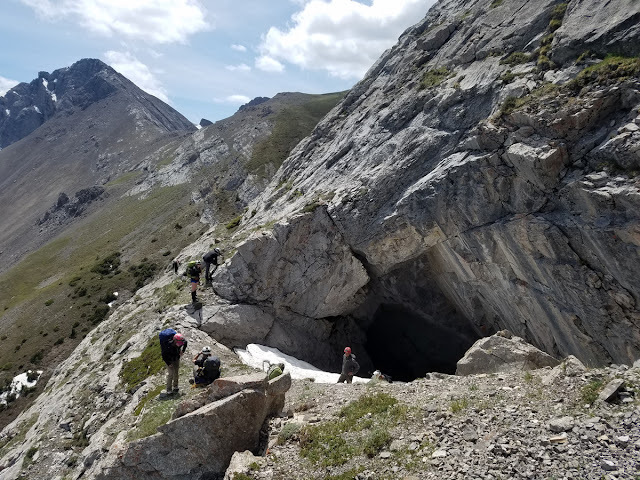 Some of it is exposed, so it took awhile to get our whole group across. 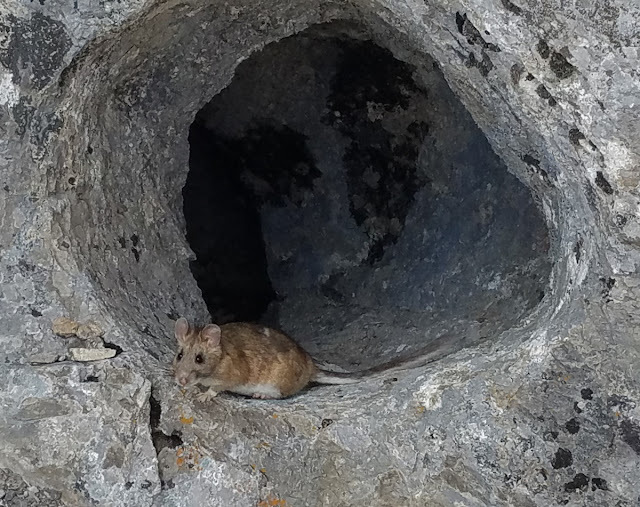 While I was waiting, I found this packrat in another cave entrance. He wasn't at all timid, and one of the problems cavers have in this area is packrats gnawing through their ropes. Yikes! Finally we're at the entrance! It was time to suit up and have the first couple of people go down to start rigging. I was very excited when it was my turn to go down. I descended the snow to the first rebelay station. From there I could look down under the hoar frost to where the snow turned to ice just before the next station. 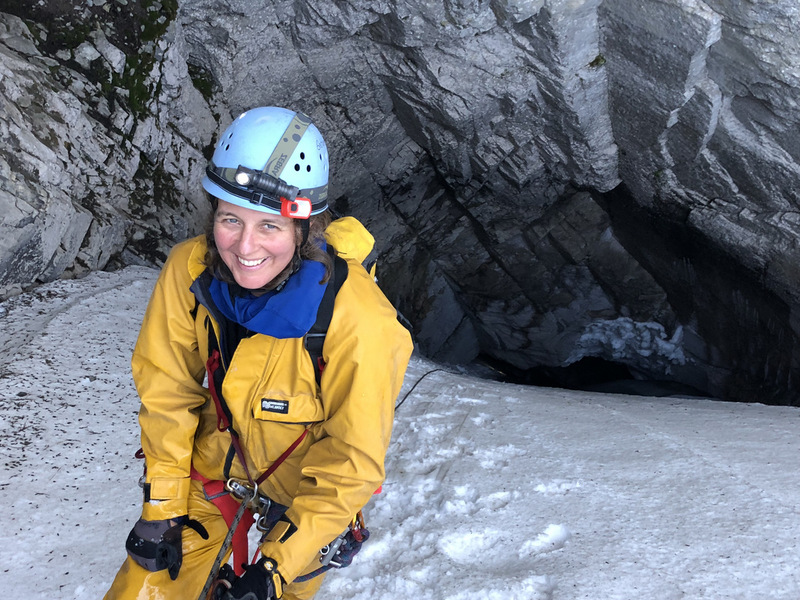 A bit further into the cave and I could look down several pitches, admiring the giant frozen blue waterfall we were descending. 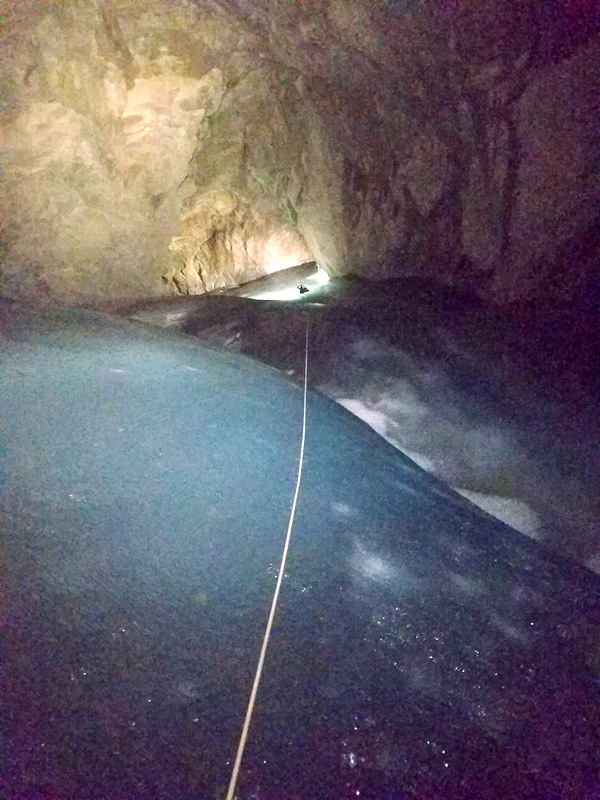 The slopes average about 70 degrees, so even though we needed 250 meters of rope, the actual depth is about 140 meters. 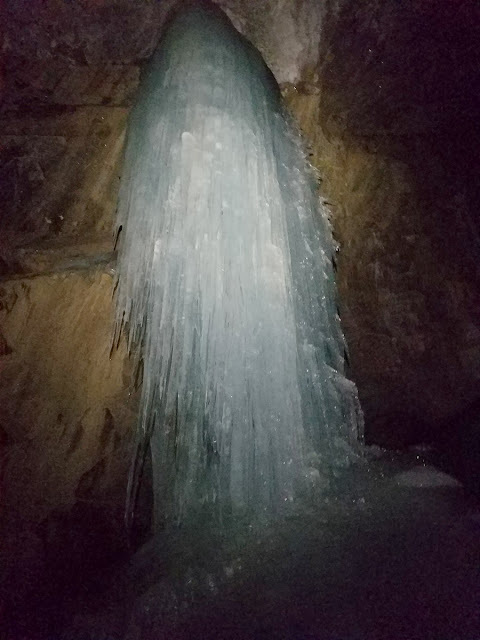 The cave is a cold trap, cold enough that meltwater refreezes each year on this frozen waterfall, leaving it look pristine each season. The name Booming Ice Chasm comes from the sound made if something is dropped. The cave echoes a lot, so it was hard to communicate. Side waterfalls came in from side passages. This one was quite wet and made cool tinkling sounds as water dripped. Looking back up, I could still see the entrance. But we weren't even half way down yet. 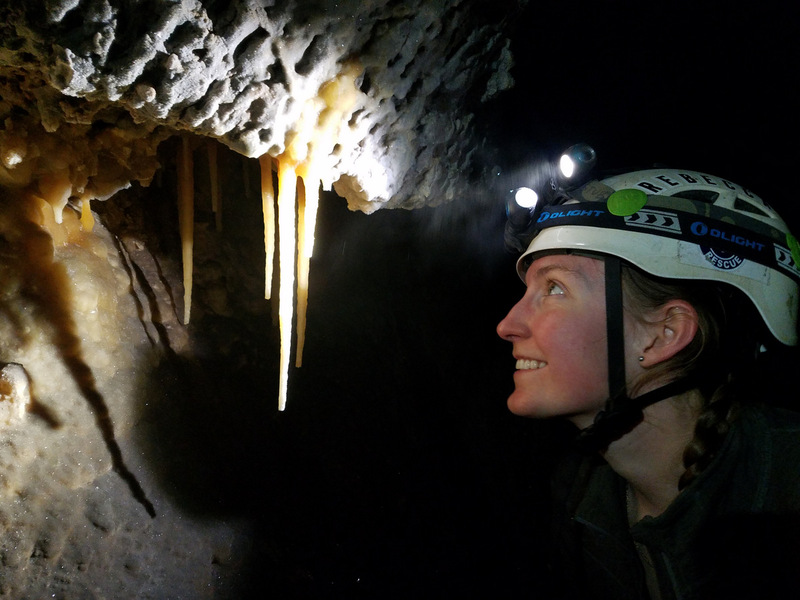 At the one level spot in the cave, we found some calcite speleothems. They were covered with frost. 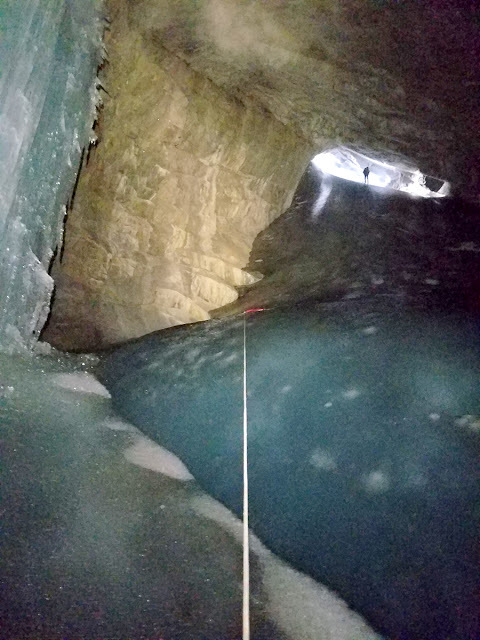 Finally we made it to the bottom, where the floor was coated with ice. Woohoo! 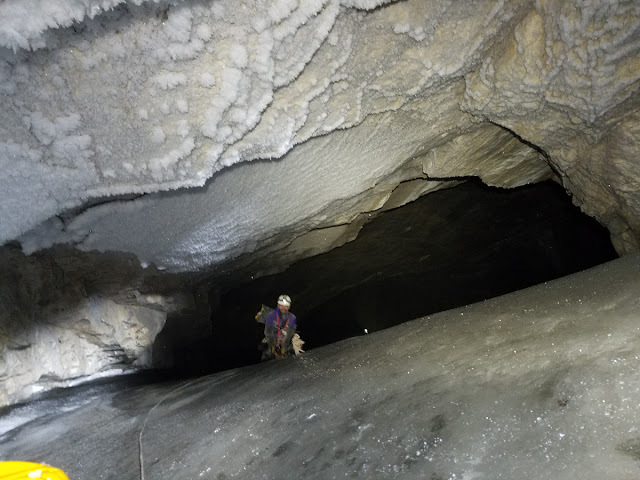 Now we just had to climb back out, using our crampons quite a bit. 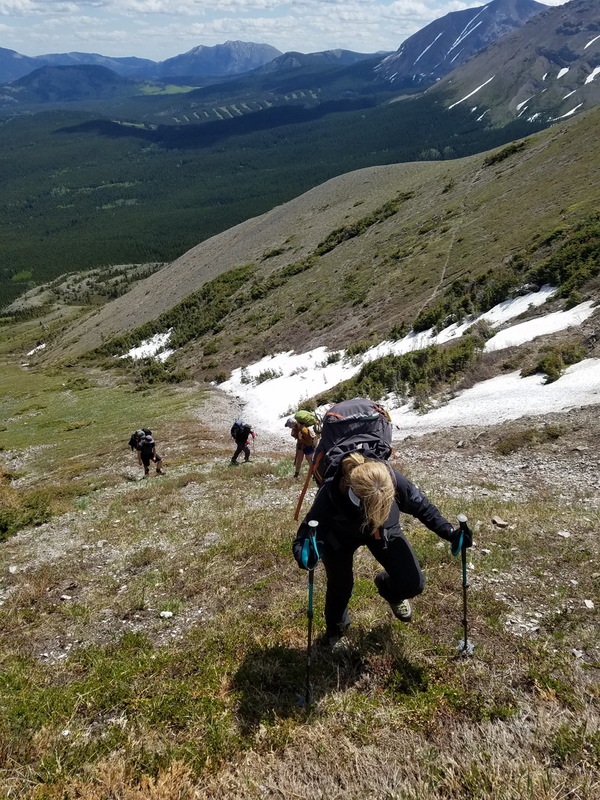 Once we climbed up the inside of the mountain, we had to descend back down the outside of the mountain. Christian Stenner snapped this photo of me coming out. I had a great time! 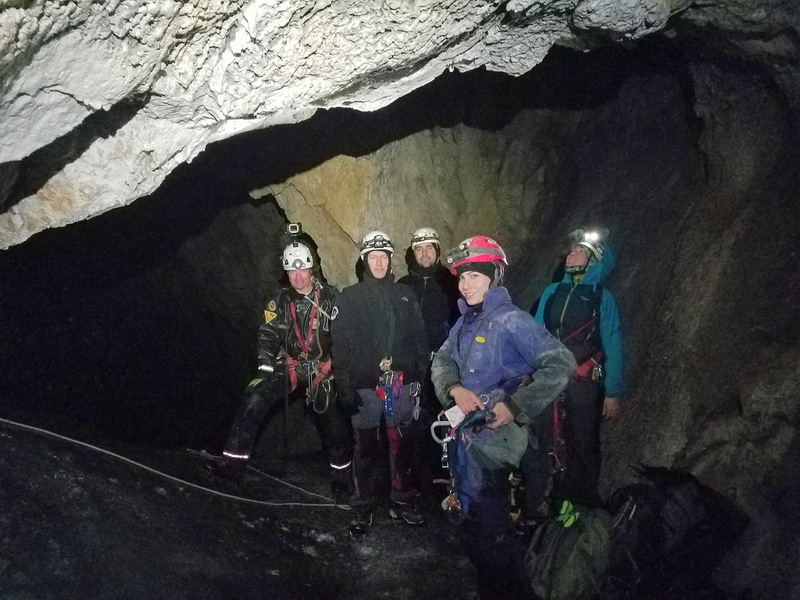 The cave was gorgeous, and I felt plenty safe going with seven other cave rescue instructors! 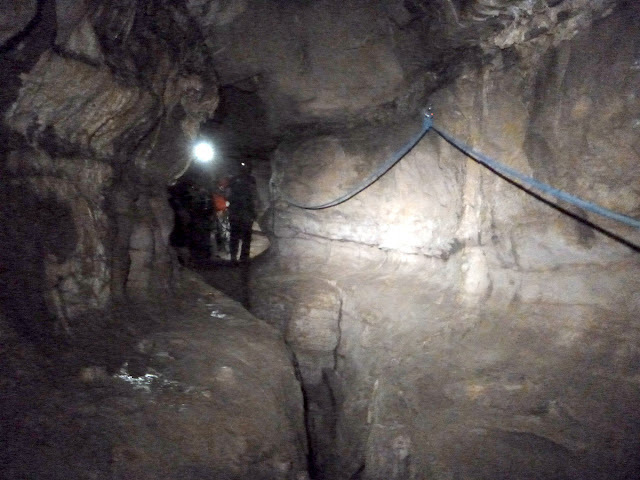 You can see some great photos of the cave here. 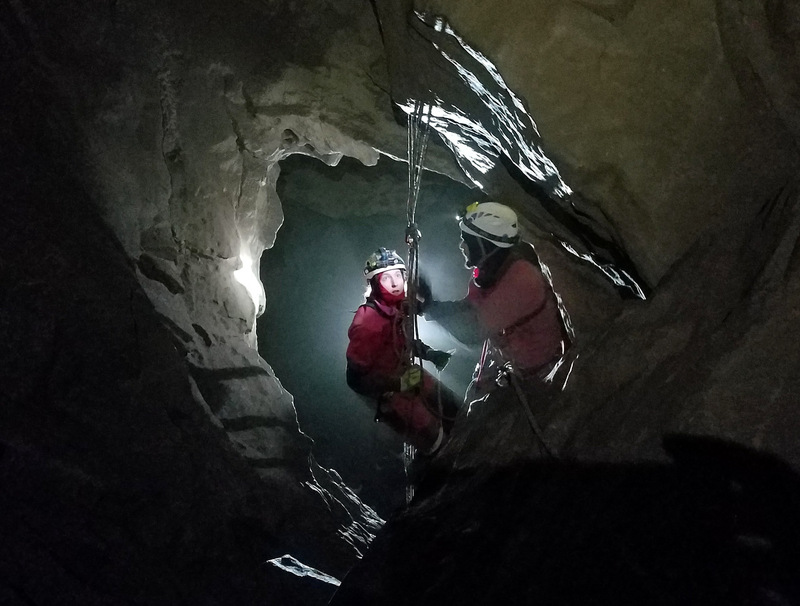 And here's an interesting account of filming inside the cave. Thanks to all who made this trip possible. It was quite an experience, and I hope to return to Canada to do some more caving. Once again I have lots of miscellaneous photos for the month. Since my filing system is Year and then Month and then Event, it makes it easy for me to find these photos. My brother Ed came out in May and we took a drive up the Scenic Drive in Great Basin National Park. The road was closed at Mather Overlook, so we stopped there and shivered. It was fun to have some rain. Down lower, Ed was able to enjoy the trampoline with the kids. Desert Boy turned 11 and we celebrated with an Escape Room challenge. Even though it was aimed at kids, it was hard for them to solve, and there was definitely some frustration. With a few clues, they were all able to escape. Desert Boy really enjoys birthday parties. We'll see if he can practice enough to learn a couple songs on the ukelele. Jenny showed amazing balance skills on the steel drum. At work, we did a cave rescue practice, starting outside through an obstacle course. 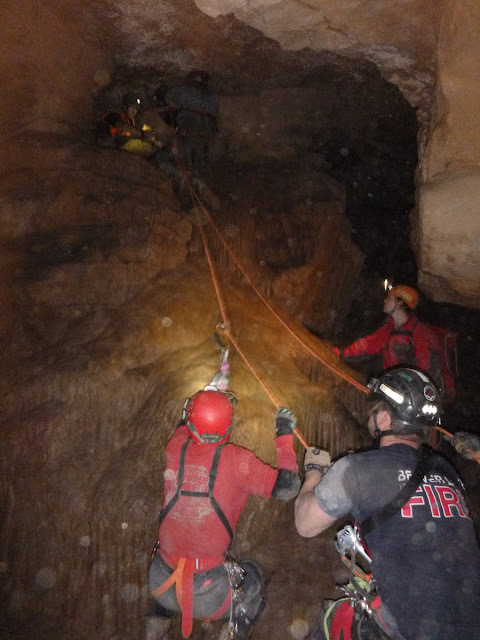 Then we headed into the cave for a scenario. We also spent lots of time at the settling pond, aka swimming hole. The mountain stream water is still cold, but that doesn't stop the kids. Having extra pool toys has allowed them more time on the water. We helped briefly on a highway cleanup project. Our rhubarb did well this year, and Desert Girl brought home a coupon from school that was an offer to make a rhubarb crisp. I took her up on it and it was delicious! Desert Girl reached a milestone with her First Communion. Afterwards we went and looked for garnets at Garnet Hill and found a nice assortment. We kept an eye on the owls. And Mama Owl, pictured below, kept a close eye on her two owlets and on us. To our amazement, all 7 of our chickens survived the backyard inhabitants. We got 4-H t-shirts for our club and helped do a service project at a local cemetery to put out flowers for Memorial Day weekend. Even though I was dreading the work, we got a small garden planted. This part followed the Square-Foot-Gardening method, where everything is planted densely to decrease weeds. Then I put down ag bag on the rest of the garden and made small holes for plants to keep weeds down there. Finally, I put a sprinkler on an automatic timer. So overall, the garden is relatively easy to maintain. We've been eating lettuce, spinach, cilantro, and peas out of it so far. The end of school meant it was time for Field Day, a track and field event. The events are so much fun to watch. It also marked the retirement of the school custodian. He will be missed! Happy retirement! Yikes, May is always a busy month. June doesn't have as many special activities, so we'll be focusing on play dates, sleepovers, and swimming. Hurray! 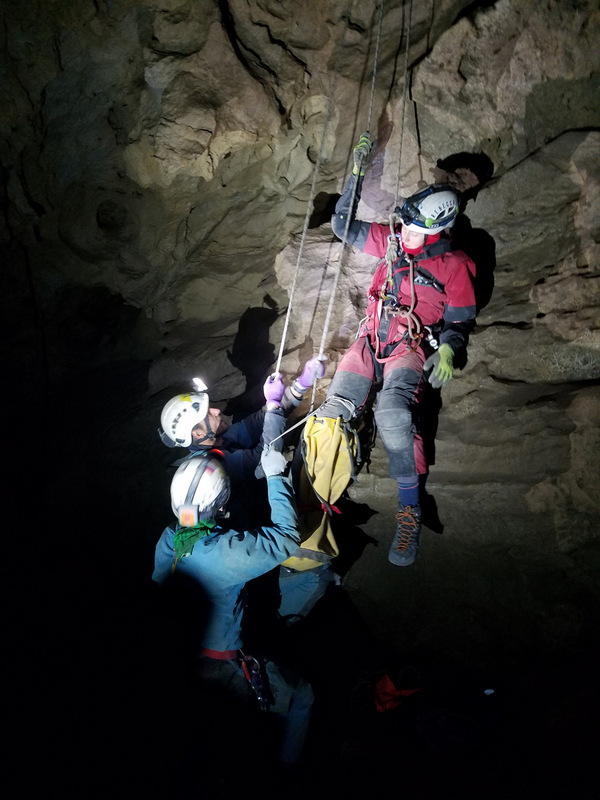 One of my hobbies is to teach cave rescue techniques with the National Cave Rescue Commission (NCRC). 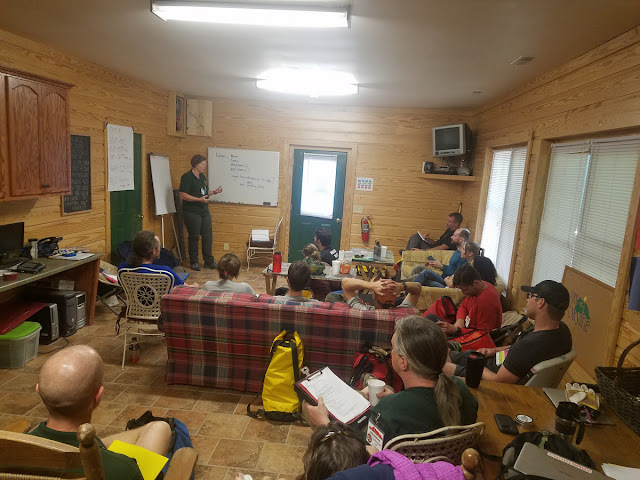 This year's weeklong seminar was in Mentone, Alabama. 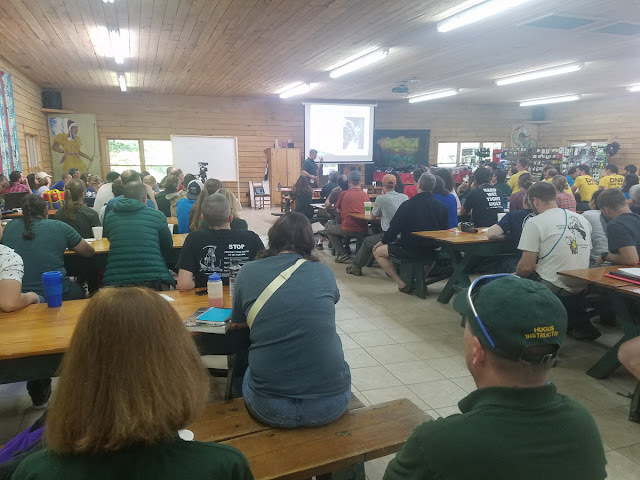 At first I wasn't going to go because May is always a crazy month, but Camp Skyline is such a nice location and I really wanted to see friends. So by shaving a day off at the beginning and end of the trip, I was able to make it work. I arrived late the night before classes started and joined everyone in the cafeteria in the morning for the opening session. Then we split into our individual classes. 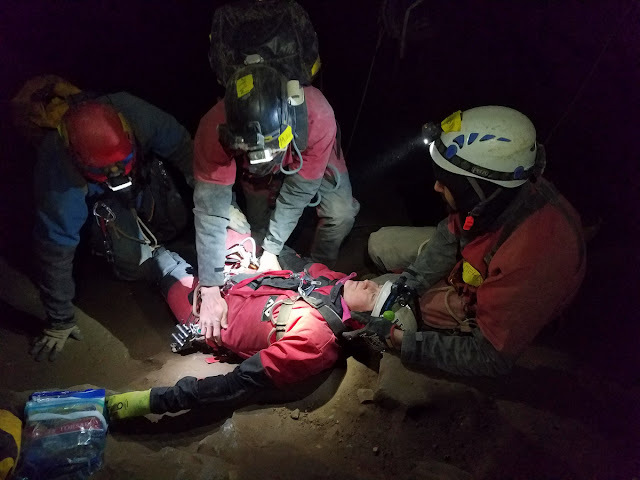 This year I taught SPAR-X, or Extended Small Party Assisted Rescue. This was our pilot weeklong class. Our classroom was quite reminiscent of many shorter SPAR classes where we've rented out a house for a long weekend. We didn't spend much time in the classroom. We were soon out on the cliffs practicing techniques that didn't use much gear or many people. The cliff site worked really well for us, and we even had some rebelays to negotiate with a patient going both up and down. The extra time also allowed for practicing some more advanced skills, and stacking different techniques to solve different problems. We also had some gym time, and at one point we had all the students on rope at the same time! Many evenings involved the math and physics behind what we were doing. 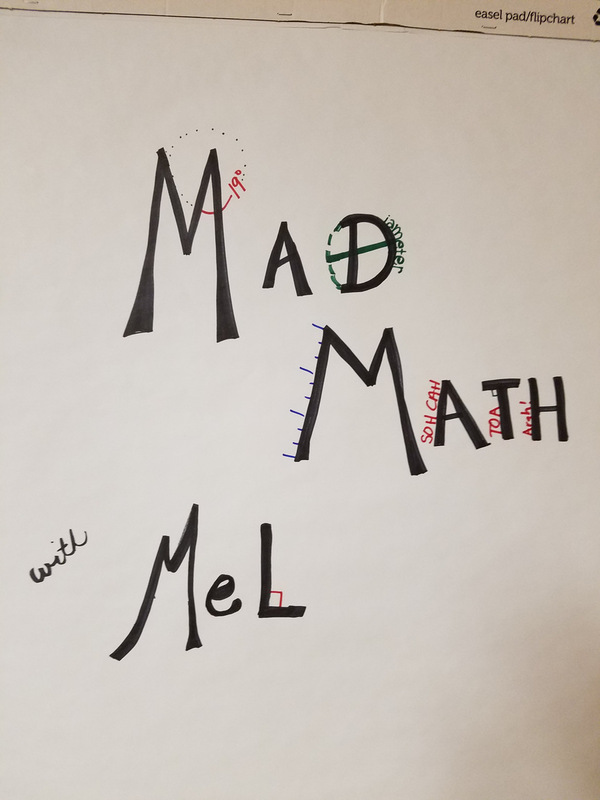 Students loved it, and they even enjoyed the homework! 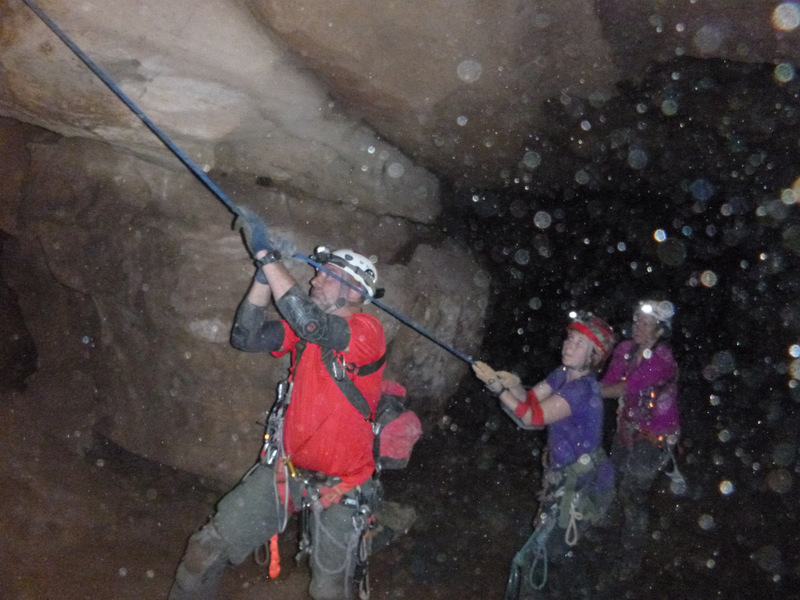 We also had some time in caves, which is always good for a cave rescue class. For our final scenario, we split into three groups, and each group had to rescue a person through multiple problems. This was a fun traverse--not your usual up/down haul. 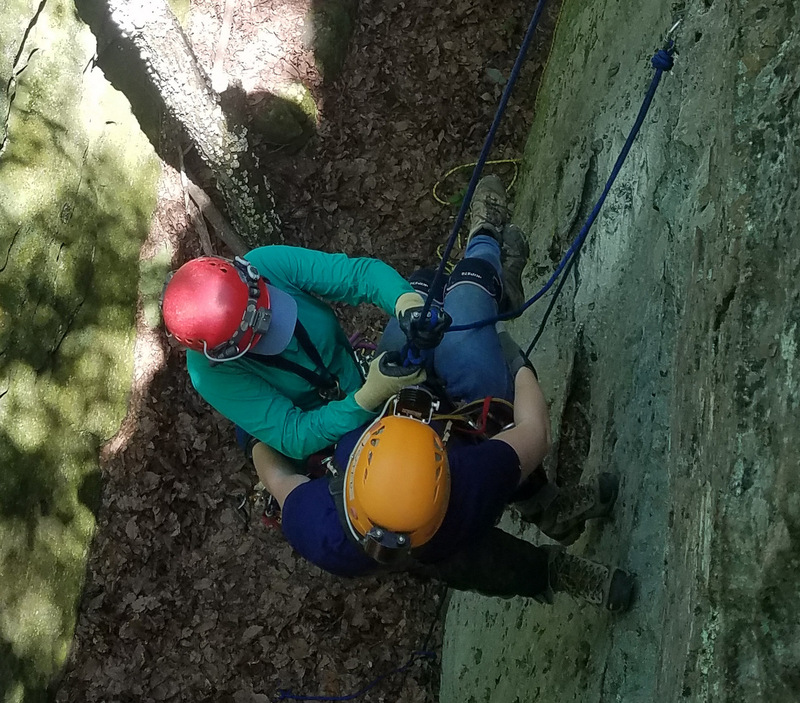 The groups did great with the rescue practice. 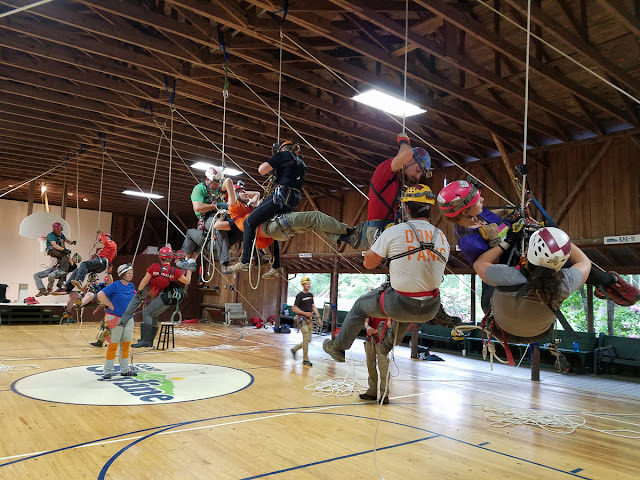 At the last obstacle near the entrance, each group solved the problem a different way. The group I was with did a very simple haul that was super fast. A cave salamander watched us all go by. Here's a slightly blurry photo of our class. 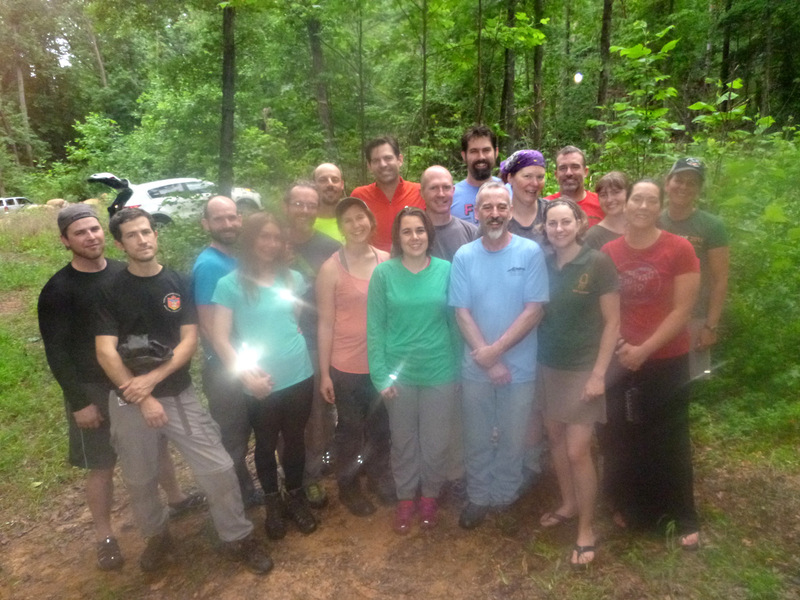 We were all smiles after six days of great SPAR-X fun. 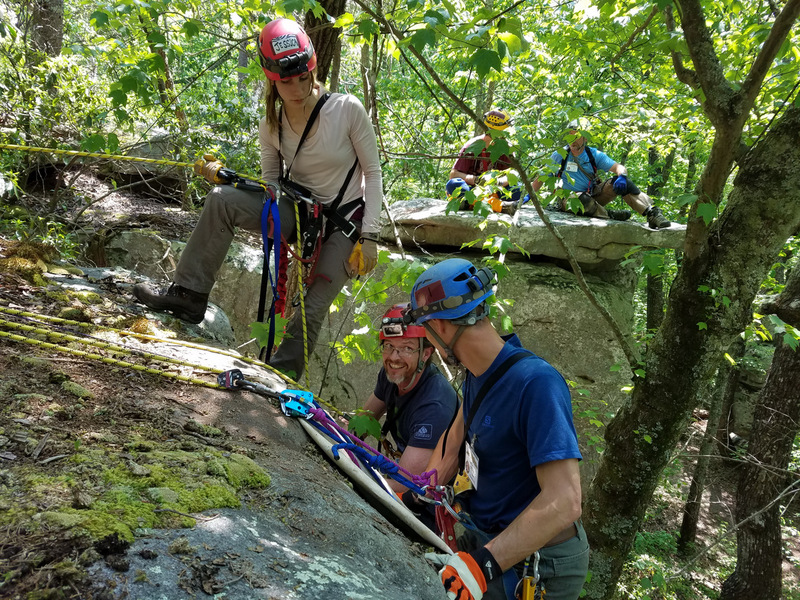 This is a super class, and if you ever want to learn how to do rescues with minimal people and gear, I highly recommend it. The only downside was that I brought a hitchhiker back with me from Alabama, a little deer tick. 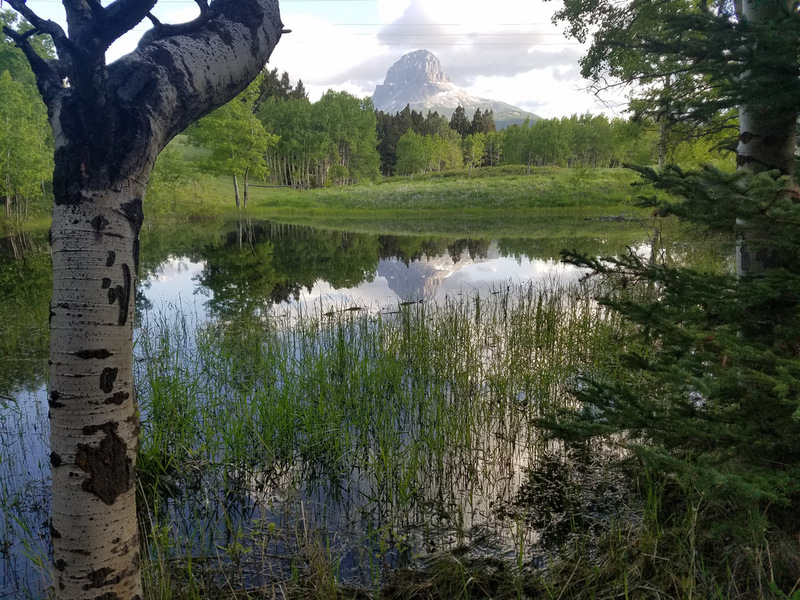 Fortunately I haven't had any symptoms of Lyme disease or other tick-borne diseases, but I'm still not out of the woods yet (even though I sort of am!). This tick identification website was really helpful. At least I didn't get poison ivy! I just need to figure out a way to drop right into the caves, where there aren't so many things to look out for.